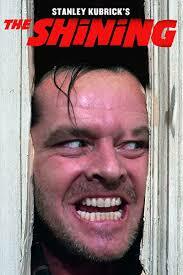 Do you remember the classic novel written by Stephen King in 1977 called The Shining? Did you also cringe in fear while watching the movie when it was released in 1980 with Jack Nicholson? One thing stood out more than anything that I'll always remember - REDЯUM. For a while it even seemed like we thought of every reason we could to drop that word into a conversation, or to use it scare someone. (lol) Of course, everyone now knows it's murder spelled backwards, and was quite clever. Here's a really simple recipe that may have you wanting to read that scary book one more time. Fill 6 glasses up with ice. 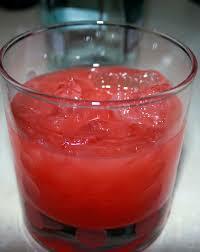 Then add 1 1/2 ounces light rum and a squeeze of lime juice to each glass. Pour 1/2 can blood orange sparkling soda into each glass and you're ready to wow your friends. 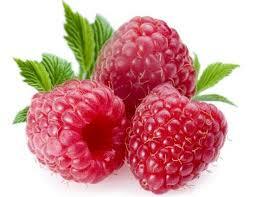 Feel free to add garnishes of raspberries or strawberries or red gummi worms. To make it scary, place a black plastic spider beside each glass. 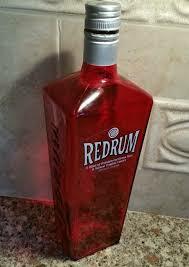 But...if you' don't want to be bothered with lots of cleanup, you can always just open up a bottle of Redrum which has 70 proof rum and plenty of fruity flavors for your enjoyment. If you've never heard of Sarah Josepha Hale, you're probably not alone. She wrote a poem you may remember called Mary Had a Little Lamb. (someone else wrote the melody to create the song) But she did something else that's even more less known. Her campaign to legislators to recognize Thanksgiving was pretty much ignored for 17 years until 1863 when Abraham Lincoln finally issued a Thanksgiving Proclamation recognizing the 3rd Thursday in November as a holiday, getting all the credit. 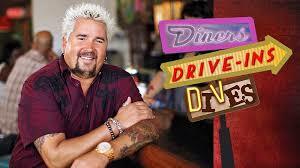 If you've been reading this blog, you already know that I always watch foodie type programs, and I adore Guy Fieri of Diners, Drive-ins, and Dives on The Food Network. The show has been going strong for 10 years, and here's a few secrets about the show. When I was a kid, Girl Scouts were around all the time, but now I pretty much only see them when it's time to sell cookies. Even then, they're not in uniform. I can't really remember any advertising telling people how to join, but just in case you're if you're interested in having your child join in NC, or to find out more information, the number to call is 800-284-4475. The past few months have been traumatic to say the least. Bad weather in Texas, Florida and Puerto Rico causing so many to lose their homes and the bare necessities necessary to live life. Then to have a man possibly believed to be mentally ill, making the choice to open fire into a crowd of thousands of people at a concert in Las Vegas. We can't always understand God's plan or the plans of the Universe on why certain things happen. Also, we may not know exactly what to say to a person who has been injured, or grief-stricken due to the loss of a loved one. What we can do is listen, lend a shoulder to cry on, offer compassion, remain kind, open-minded and supportive to each other. I'm reminded of a powerful song written and sung by Bill Withers in 1972 called Lean on Me, which is still very relevant today. You weren't the first blogger friend I visit today who talked about The Shining. I read the book, but didn't see the movie. I know it was scary, to say the least. I didn't want to put the book down. I'll leave the alcoholic drinks to you. I simply can't stand the smell or the taste of alcohol. It certainly looks pretty, though. Wow, I learned something (actually TWO things) tonight. First, I had no idea Sarah Hale petitioned for Thanksgiving. It's too bad she didn't get any credit for her hard work, but that is often the case for women in ANY century. The second thing I learned was that the Food Network picked the food to be reviewed. That certainly puts a LOT of pressure on the people who would like to be on the show. I DID know the food had to be made from fresh, not frozen food. You are right. When I was a girl, I was in the Brownie, then Girl Scouts. Now I've not seen any in my neighborhood. In fact, I've not seen a Girl Scout stop by trying to sell me cookies. I get mine at a local restaurant that sells them for one of their employee's children. Crazies are crazy in every day and age. Lean on me is a good way to end this post, though! Hey There Elizabeth and hope all is well! That's pretty cool that someone else was talking about the classic Shining. That book was something else! Guy spends a lot of time in restaurants checking things out and talking to people, and people say the way we see him on television is exactly how he is in life. Very cool. I hear you on that one. Can you imagine trying to get someone's attention for 17 years?! Wow! I think kids should always be involved in some type of activity, and would hope there would be more publicity to join. I sure hope your day is fantastic, Elizabeth! Hugs....and Happy Friday. I haven't read the book - or seen the movie. And probably won't. I like to sleep at night. Sigh on the ugliness in the world - natural and man-made. 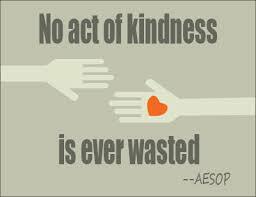 It is time for us to spread kindness like confetti. I just may have to read that book once again. I really like your summary on the problems that have been going on, we all should give each other a shoulder to lean and cry on, listen, and just be there for one another, being open minded and supportive will get us all through the worst of times. Thank you RO this is a great reminder. I did not read the book, but I watched the movie. I am planning to have a go at the book. I still have it on my bookcase, but I'm sure I'd watch the movie again if it came on. (lol) Happy Monday! I love that song, Ro. A fun blog as always and a very moving tribute and reminder at the end. The book and movie were all the rage back then. Hugs and Happy Monday! Ooh, this sounds like the perfect drink for Halloween parties! I remember as a kid hearing "Red Rum" was murder spelled backward, but I didn't know it was from The Shining until I was older. Sad times. I love the Shining. 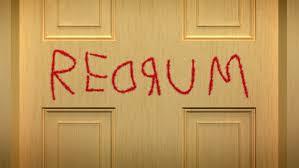 A Redrum recipe :D that's really funny, actually. Good call. Hoping the sad times will pass though. Oh I'm such a scardy cat. I think I watched The Shining a long, long time ago but I must have watched it with a hand over my eyes. I don't remember much from it at all. I love the song Lean On Me. It seems very appropriate for this time of the year. I didn't know that story behind Thanksgiving being an official holiday; poor girl. She needs to be known more and get the credit! Just taking a quick peek..Here! :). a very unique horse and loved by millions! at the weekends..on Food Network non stop..
of his is...Grandmas Hangs...Yeah! Give it a Google! 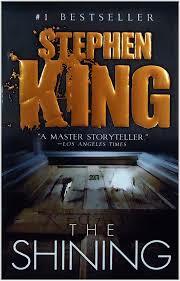 Stephen King is a master of his art. Thanks for sharing this wonderful post, greetings to you. Hugs RO and thanks for the soothing words we need more of them. That Redrum Cocktail looks pretty luscious, Rockin Ro. Hope your day has been productive and your evening is pleasant.